First cut a 6" x 9 1/2" piece of black card stock and fold it in half for the base, a 4 1/2" x 5 3/4" piece of Stampin' Up! Blackberry Bliss for the middle layer, a 4 1/4" x 5 1/2" piece of designer paper for the front, a 1 1/8" x 3" piece of black for the sentiment background and a 1" x 2 7/8" piece of white for the sentiment. Then stamp the sentiment and sponge the edges with Stampin' Up! Blackberry Bliss ink. 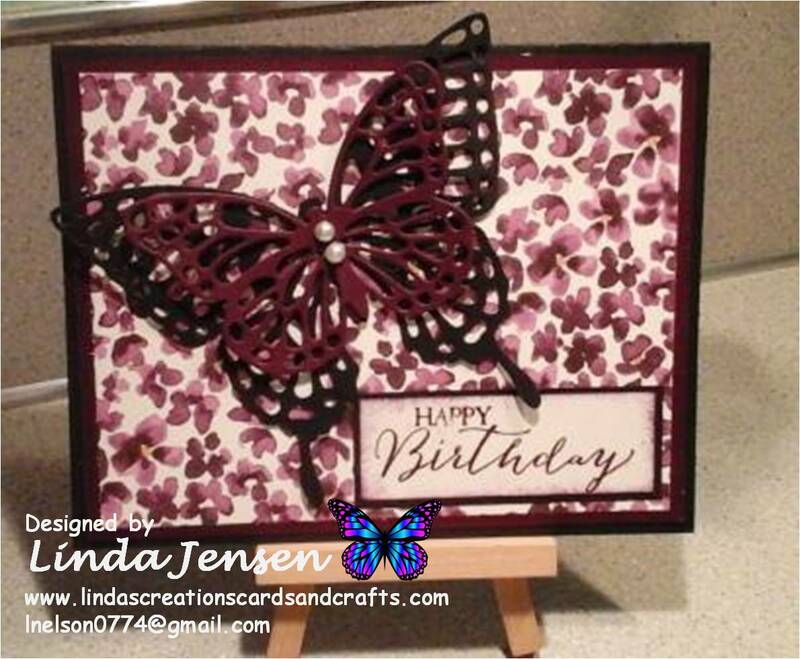 Then cut out both butterflies with the Stampin' Up! Bold Butterfly Framelits dies and attach them to each other with a mini pop dot. Next add the self adhesive pearls to the butterfly's center and attach the butterflies and sentiment to the piece of Stampin' Up! 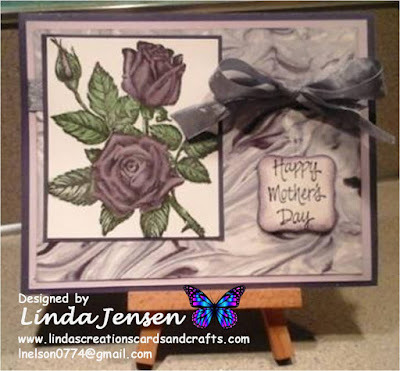 Painted Blooms Designer Series Paper then finish assembling the card and enjoy! Please let me know if you have any questions, I'm always happy to help. I always appreciate any comments/suggestions you'd like to share. Thank you for stopping by, have a great day!